1. Is it burnable or non-burnable? 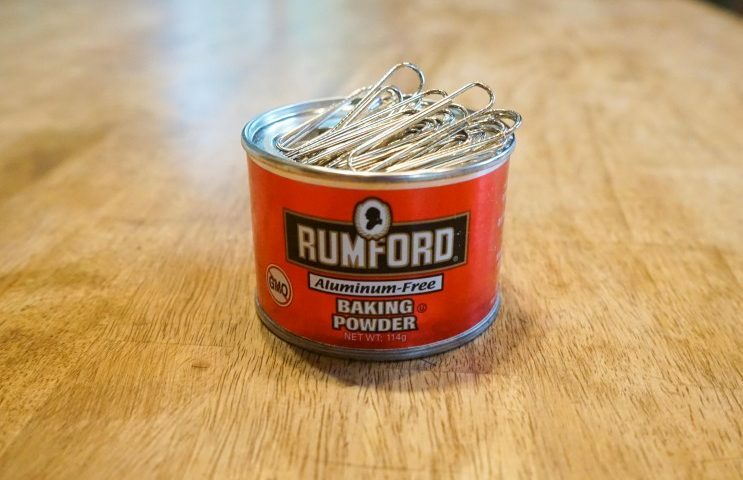 I am a heavy user of Rumford Aluminum-free Baking Powder. Every time I throw away the empty can, I wonder if it’s burnable or non-burnable. After brief consideration, I always put the lid into “plastic” and put the can itself into “burnable”. Now I found out that I was wrong after all. ＊This is not always the case, though. It depends on the community. 1.1 What are the materials like? The container is made from several materials. It’s similar to the one for potato chips. As stated on the label, it consists of paper, steel, aluminum and plastic. It took some time to dissemble it to discover the structure is quite complicated. How to dispose of it varies depending on the municipality. It’s a bit complicated. So it’s always a good idea to consult local government describing it similar to a cylinder-shaped potato chips container when you are not sure. Generally, it goes to “non-burnable” when you don’t break it up. Why don’t we have a closer look! The side cardboard lined with aluminum　→　Burnable…Since aluminum liner is hard to be peeled off, it can’t be recycled. And it’s really hard to yank off the cardboard from the bottom rim. The steel top and bottom　→　It can be recycled as metal as long as paper is peeled off. It is non-burnable if some cardboard is left attached to the steel. I learned that this empty can is quite tough from my experience disjointing it. What you can do is rinse it & dry well to use it as a container for small things like thumbtacks, clips, buttons, beads, dried seeds etc. If you have any better ideas, please let us know. More and more plastic containers entirely covered with fancy paper labels are on the market. They all look gorgeous but it’s sad they can’t be recycled as “plastic”. They go to “burnable” since paper labels are stuck. It’s not the case with containers with comparatively tiny paper labels. It’s so complicated. When you are not sure, just contact local government.